Right off the bat, you'll notice we've redecorated the site. We tried to clean things up a bit and make it easier for consumers to quickly find and compare products. Everyone loves a great deal, and we've got them at the new Bargains Center, where we round up sales, coupons, free shipping offers, rebates and more from across the Internet. Facts and more: See the category Buying Guides for professional reviews from Consumer Reports and other leading publications (example: Garden & Patio Buying Guide). Got questions? We've got answers. Check the integrated Yahoo! Answers sections throughout our site for real-world advice and product recommendations from other online buyers. Search our 70 million product offers however you'd like: by merchant, brand, type of product, item popularity, or price. Get automatic updates by adding the Popular Products and Deals module to your My Yahoo! page. It's all at your fingertips on our homepage. Access Yahoo! 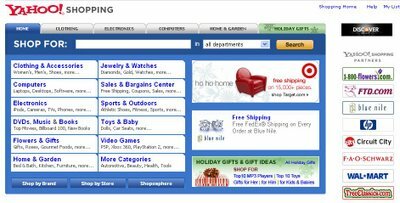 Shopping products, reviews, and coupons directly from Yahoo! Search. For example, search results for "mp3 player" from the Yahoo! home page will include links to buying guides, markdowns, and popular mp3 player brands. We call these "Search Shortcuts;" you'll call them convenient. Keep track of items you're interested in. The new Yahoo! 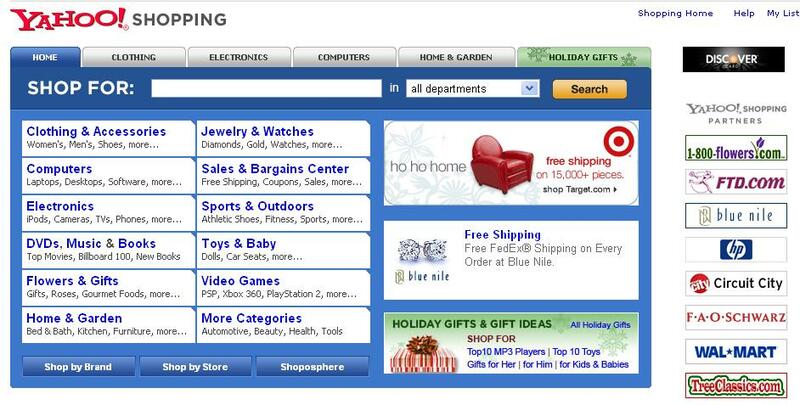 Shopping home page remembers your recent searches and saved products so you can go back to them later. Help for the holidays: Our Holiday Gift Guide features Top 10 lists and recommendations to help you choose just the right presents for family and friends.